Social Media is an amazing part of online marketing because your customers spend a great deal of their time looking at Facebook, Twitter, Instagram, SnapChat, Pinterest and more. They use social media to get information, find the latest news, connect with people they know or simply search for a new DYI project. Our job is to get their attention! Do not underestimate the power of social media for your business. A business’s presence on Social Media is an important part of their online presence. Your customers want to see that your business is on Faceboo. They want to connect with you on LinkedIn, and can check in on Foursquare at your business (if possible). It is a way for your customers to have a conversation with you and to actively be involved with your business. Google favors businesses who are interactive on Social Media, and it is our job to please Google! Of course, not all social media platforms are right for every business. Social signals are amn important part of search. 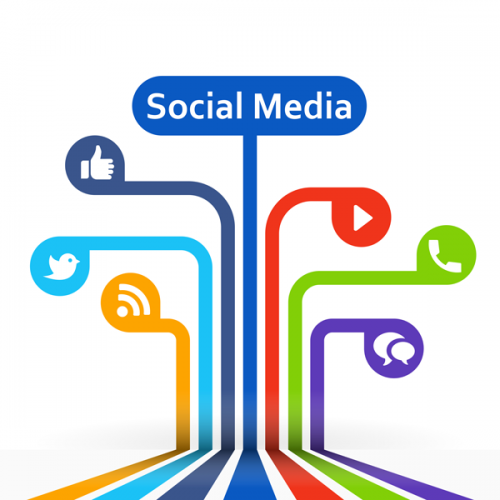 As a business, you need to have a social media presence! We’ll make recommendations about which social media platforms are a great fit for your small business, and we’ll go from there! One of the best values for a small business marketing budget is Advertising on Facebook and/or Instagram. Your potential customers are on Facebook every day a few times a day! Facebook is visited by 70% of smartphone users and on average go to Facebook almost 14 times a day! And that doesn’t count desktop visits. Facebook has once again changed their algorithms and a post on a business page is shown to less people. And posts with the sole purpose of selling products or services are getting almost no visibility at all. Not sure if this is accurate? Check the insights on your Facebook posts! Facebook Advertising can break through the barrier of “your fans” and expose your business to more potential customers. Together with your Account Manager, we can serve your ad to an audience that is most likely to buy from your business!